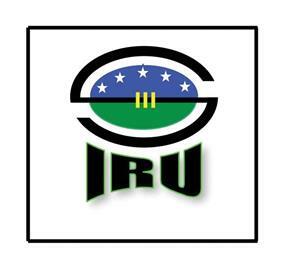 The Solomon Islands national rugby union team represent Solomon Islands in the sport of rugby union. They played their first international at 18 August 1969, losing to Papua New Guinea by 23-5. Their next game, three days later, with Fiji show their record loss of 113-13. Both games were part of the 3rd South Pacific Games. Since then they have played in only a small number of internationals. Their first win came in 1983, in a 19-12 win over Niue, for the 7th South Pacific Games. Solomon Islands have yet to qualify for the Rugby World Cup finals, but did take part in the qualifying tournaments in Oceania for the 2003 Rugby World Cup in Australia, and the 2007 Rugby World Cup in France, but did not end up qualifying. In November and December 2011, Solomon Islands competed in the Eastern Regional Pool of the 2011 FORU Oceania Cup. All matches were played at Lloyd Robson Oval in Port Moresby. In their first match, on 29 November, Solomon Islands recorded a notable 22-19 victory over the more fancied former champions Niue. This was followed by a 33-15 loss to host nation, Papua New Guinea. In their final pool match, Solomon Islands defeated Vanuatu 48-20 to finish second in the pool, behind Papua New Guinea. This victory set a new record winning margin for the Solomon Islands, eclipsing the previous best of 11-3, also against Vanuatu, in 2001. By virtue of their wins at the tournament, Solomon Islands climbed to an all-time high of 69th position on the IRB World Rankings, overtaking Niue in the process. ^ "Sport: First round wins for PNG and Solomons in Oceania Rugby Cup". RNZI Sport. RNZI. Retrieved 30 November 2011. ^ "Pupuks Rise". The National, Sport. The National. Retrieved 5 December 2011. ^ "Solomon Islands climb to new high in rankings". Federation of Oceania Rugby Unions. Federation of Oceania Rugby Unions. Retrieved 6 December 2011.